Paul Prather, Ph.D., is leading research of “synthetic marijuana” that was published in a leading pharmacological journal today. Feb. 2, 2017 | Feb. 2, 2017 | UAMS researchers were published today in Trends in Pharmacological Sciences, warning the broader science community and the public about the serious health risks associated with so-called synthetic marijuana products, which are marketed as safe, legal alternatives to marijuana. 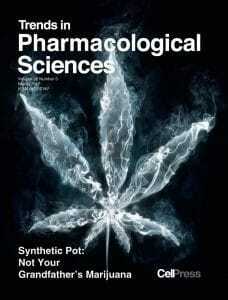 Titled “Synthetic Pot: Not Your Grandfather’s Marijuana,” the article was featured on the journal’s cover. It was authored by UAMS’ Paul Prather, Ph.D., and co-authors William Fantegrossi, Ph.D., Benjamin Ford, Ph.D., and Sherrica Tai, Ph.D.
Prather, a cellular and molecular pharmacologist, said the deceptive marketing of the man-made products such as “K2” and “Spice” has contributed to a widespread misperception about its safety. “We want scientists as well as the general public to know that it is absolutely not true that these products are safe,” he said. Synthetic cannabinoids are psychoactive chemicals often sprayed on plants that have been cut up to look like natural marijuana. They are also sold as powders, tablets and capsules. While the synthetic compounds target the same cannabinoid receptors as marijuana, the similarity ends there. The synthetic substances are structurally different from marijuana and are linked to dangerous health effects, including psychosis, seizures, dependence and death. In addition, while marijuana is easily identified in drug tests, the man-made compounds are not because of their numerous structural differences. 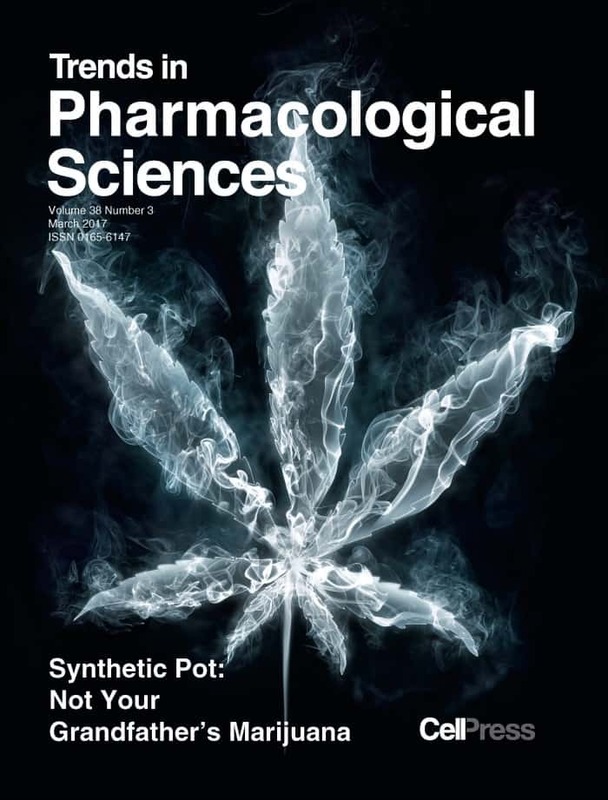 Documented cases of synthetic cannabinoids’ adverse effects are cited in the journal, which notes that more than 20 deaths were reported between 2011 and 2014. Prather, a professor in the Department of Pharmacology and Toxicology in the UAMS College of Medicine, is also leading the first major study of synthetic cannabinoids. Last year his interdisciplinary team of researchers received a $2.7 million grant from the National Institutes of Health (NIH) National Institute on Drug Abuse (NIDA) to determine the man-made cannabinoids’ toxicity and inform policymakers as they consider regulating the products. 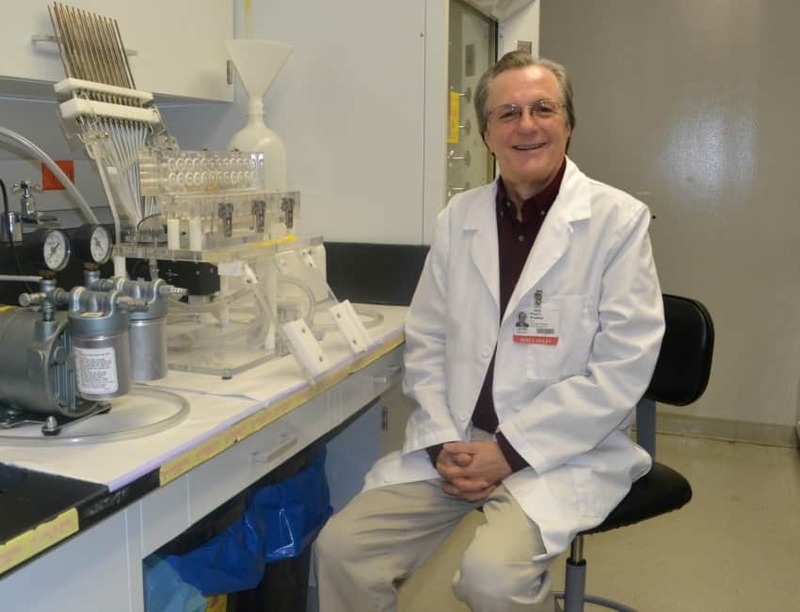 Over the next five years, the UAMS team will explore why the synthetic compounds are more toxic than marijuana, even though both activate the same cannabinoid receptors in the brain. Researchers will study the effects of the man-made compounds on human cells in the lab, in mice, and in those who take synthetic cannabinoids and are admitted to emergency rooms. Despite the dangers associated with man-made cannabinoids, Prather said he hopes scientists will continue to search for synthetic cannabinoids that have therapeutic potential.